Most of us have been culturally conditioned to view crying as something to be ashamed of. 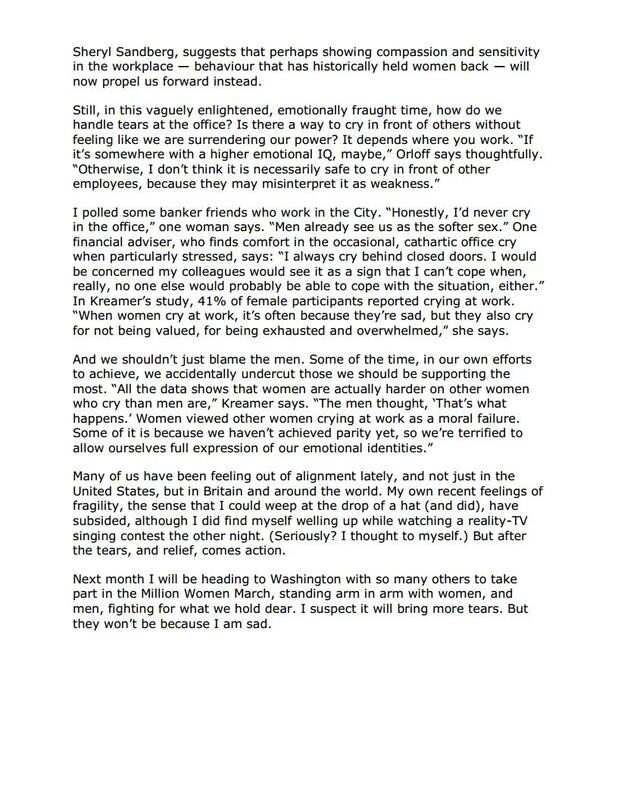 Sobbing in the workplace is viewed as a sign of weakness, especially for women who, on average, cry five times more than men. Despite the dark cloud that lingers over crying, it is an essential way to purge excess stress hormones and help the body return to a state of equilibrium. 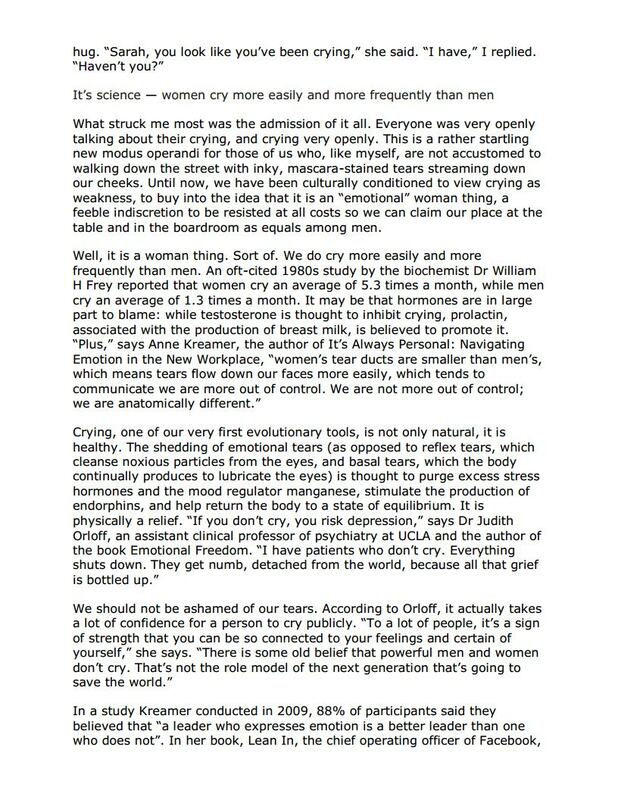 Crying not only provides emotional relief, but physical relief too. Bottling up grief and sadness is a risk that can lead to depression. 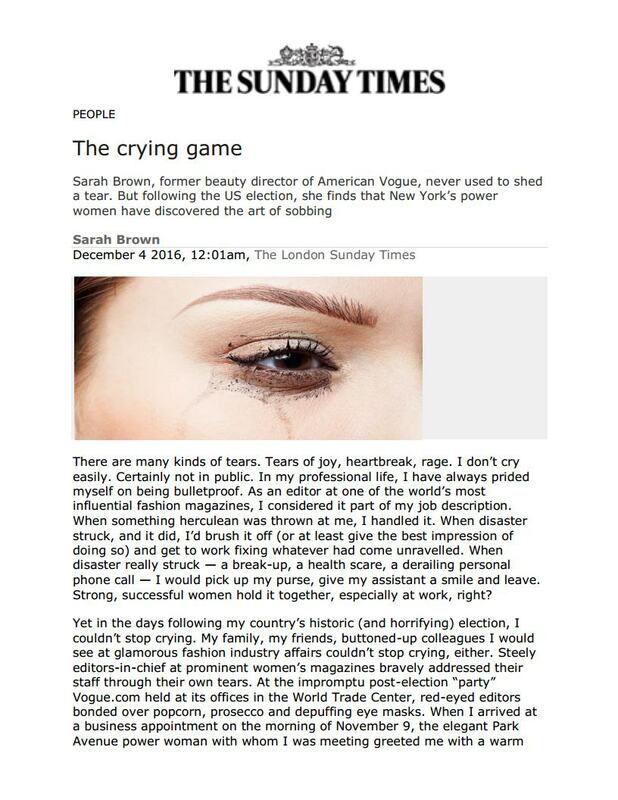 In this article written by The London Sunday Times, I share the benefits of crying on the physical and mental self and how crying publicly is actually a reflection of our inner power and strength. Read the full article on London Sunday Times here.